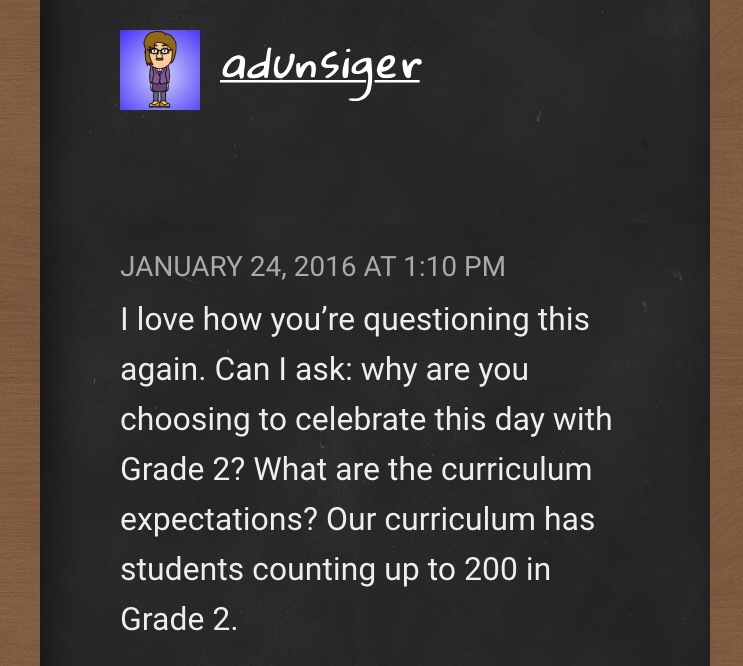 Posted on January 25, 2016 by Jen Bearden	• This entry was posted in Classroom, Second Grade, Uncategorized and tagged 100th Day, 2nd grade, learning, questions, reflection, revision. Bookmark the permalink. I think that you have a very smart class of students with a very smart teacher too! 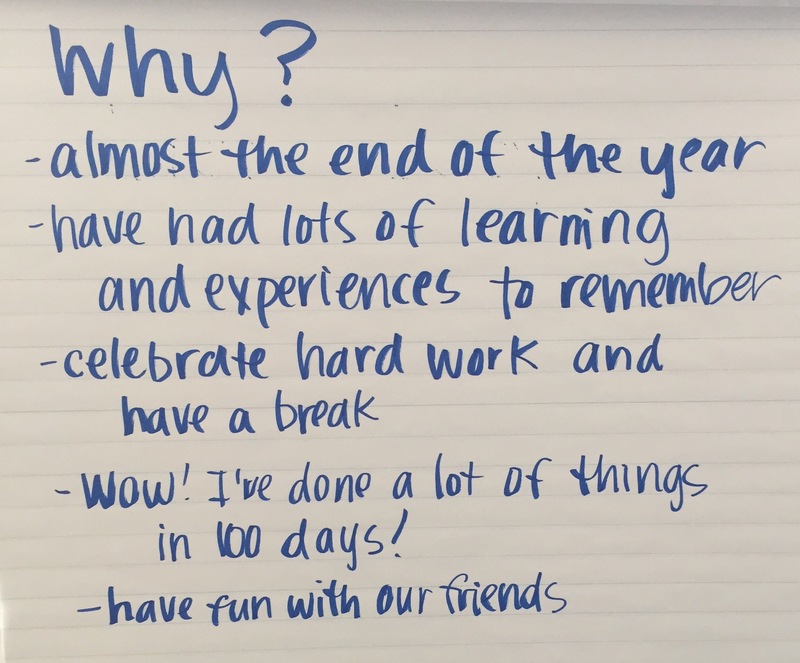 I love how the dialogue unfolded, and how you’ve come up with a solution to your 100th day problem that really helps students move past “100” and to the real reason for the day. I’m still not sure if we need a 100th day, but their thinking makes me believe that the day is going to be about way more than the number 100. Can’t wait to hear how it goes! I am always impressed by what they come up with. And yes, next year I may not even participate, but for now we’re going to go with that plan and see what happens. I’m excited! There’s even more to the story (that happened after this initial conversation and related to a book we read) that will add to the fun! Wonderful Jen! I can’t wait to read your reflection post after the day. Please let me know when it’s done. Happy (almost) 100th day!